Fully serviced 2016 including new gimbal bearing. Single axle galvanised launching trolley, new wheel bearings 2017. The Sea Ray range of sports boats are well-made with a strong following. The 190 Signature model just gives you that extra space and sea keeping ability over the 18ft versions, plus the added benefit of the fabulous Mercruiser 5.0L Efi engine providing plenty of power for watersports! This particular Sea Ray 190 Signature looks to be in good condition and appears to have been well maintained by her owner - she was fully serviced in 2016 including a replacement gimbal bearing. 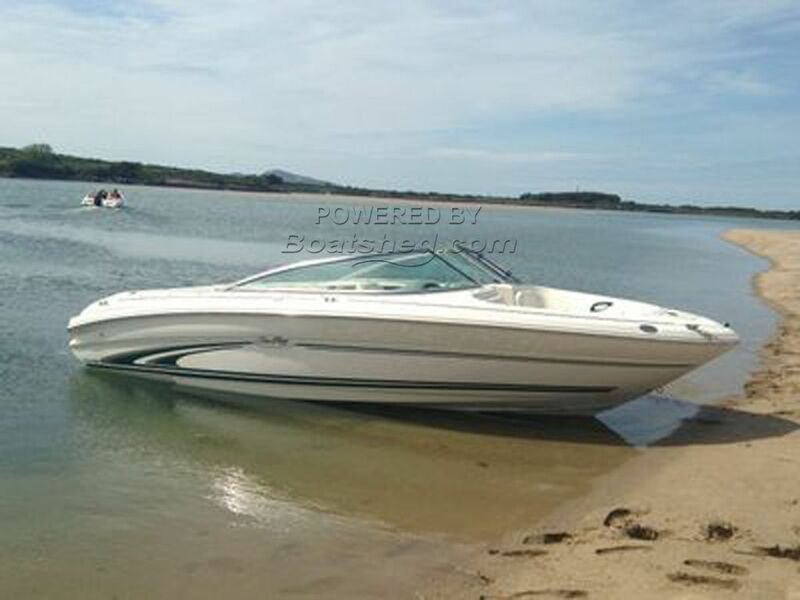 This Sea Ray 190 Signature has been personally photographed and viewed by Chris Tindall of Boatshed North Wales. Click here for contact details.